It’s been almost a year since the CO-OP Co-Creation Councils were launched to help shape the future of credit union products, services, and experiences. Comprised of leaders and innovators from over sixty credit unions, Co-Creation Councils have become more than just a platform for sharing ideas; they have helped build a community that will accelerate our movement and deliver better products and services to our members. The six Co-Creation Councils met several times throughout the year to share ideas and challenges and directly influence how CO-OP creates and develops product, services and experiences. While each Council has a different mission, they are all united by a commitment to delivering innovation that is member-centric. That commitment was on full display at their second in-person session, where the first major initiative was developed. Disputes and chargebacks have become a common pain point not just for credit unions but the entire financial industry, including retailers and members. The big challenge: disparate systems and a lack of uniform data and advanced reporting on member activity have resulted in a clunky and inefficient process for credit unions. At the June meeting, the six councils shared their various insights on the disputes and chargebacks issue and consensus was quickly formed that this should be a key area of focus for 2018. This is where the power of co-creating really came through. Empathy is at the heart of co-creation. 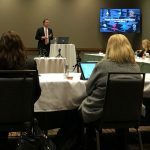 Often a business problem cannot be properly identified and solved without understanding the needs and desires of other impacted parties, in this case, credit union members, product leaders, and other industry peers. Bringing empathy into the solution design process not only helps inspire new ideas but also reaffirms our collective mission as credit unions. Following the June meeting, huge strides were made within CO-OP to design a better disputes and chargebacks enterprise solution, gathering feedback from the Strategy Council along the way. Bouncing ideas off each other and integrating insights from members, a concept for an enterprise back-office platform was developed. That concept was presented to Lori Kastrick, CO-OP’s VP, Industry and Back Office Services, whose team is now leading the process of conducting research, writing the requirements and creating the business case for our new solution The new system, will be designed to streamline settlement processes and offer more robust reporting in order to deliver better, faster service to members. 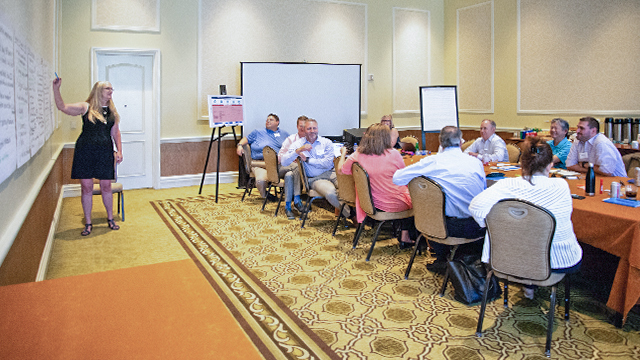 In its second year, the Co-Creation Councils will continue to focus on improving the credit union and member experience through innovative new solutions as well as refining existing solutions. The disputes and chargebacks example is just one story of impact from the first year of co-creation. For instance, insights gathered by the Payments and Data & Digital Councils have been instrumental in shaping new features and functionality for CO-OP products like MyCO-OP. In 2019, each council will work on specific objectives, while collaborating regularly through an online portal. Collaboration is at the heart of our collective digital transformation. 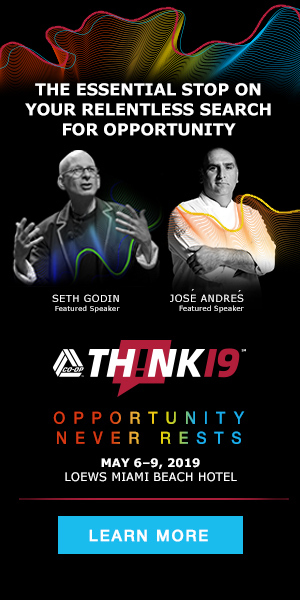 Learn from and collaborate with over 800 credit union leaders at THINK 19 – May 6-9, 2019 in Miami, Florida. Register now and save $200 off the registration rate for the credit union industry’s biggest thought leadership conference.